I just updated my iPhone, and I'm enjoying it so far (although the keyboard looks a little different and it's messing with my eyes). 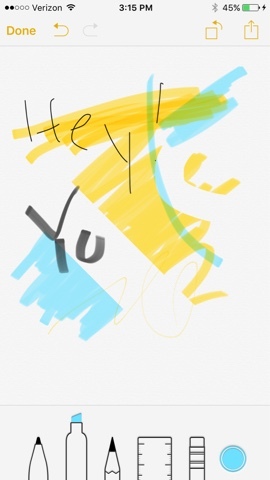 My first order of business was to test out the new drawing feature on the Notes app. For a mobile app that lets you draw with your finger, it's surprisingly sophisticated. Look, it even has a ruler so you can draw straight lines. I don't think I'll ever be bored again.